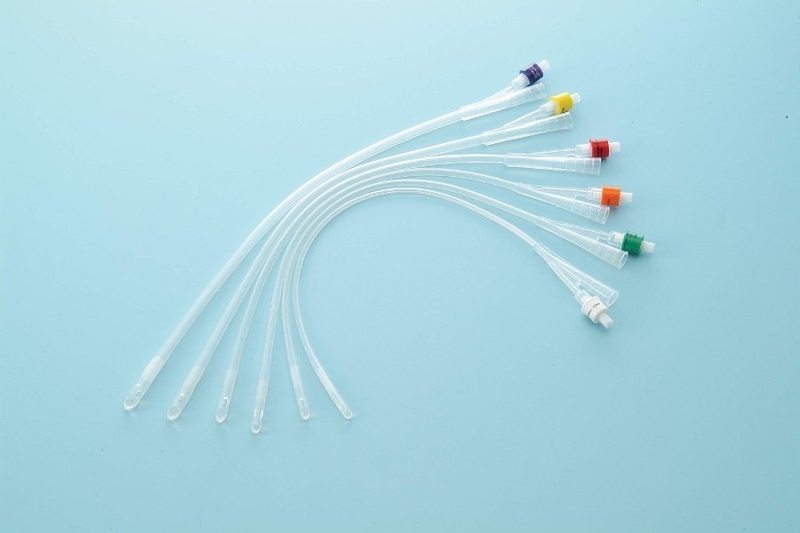 Silicone Foley Catheters are specially designed for temporary or long-term treatment of urinary incontinence. The 2-way Foley Catheter is made of medical-grade silicone. Its symmetrical balloon expands equally in all directions so as to perform its function of retaining bladder safely and efficiently. Made of 100% medical grade biocompatible silicon; provide excellent patients' comfort and safety. Round drainage lumen minimizes encrustation, more efficient drainage and blood clots removal. The smooth burr free lateral drainage eyes are accurately formed for optimal and effective drainage. Drainage funnel provides best connection to drainage bag. The symmetrical balloon expands equally in all directions ensuring a straight tip for proper flow and good sphincter action to prevent bladder leakage. Self-sealing inflation valve ensures balloon is inflated when in use.